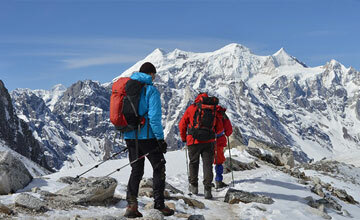 Manaslu tsum valley trekking is one of the most popular trekking in Manaslu region. 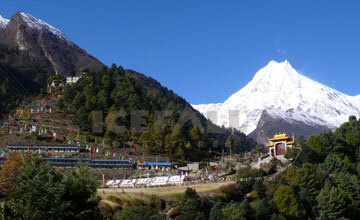 Manaslu Tsum valley trek combine both Tsum valley & Manaslu larkya la pass trekking trail. 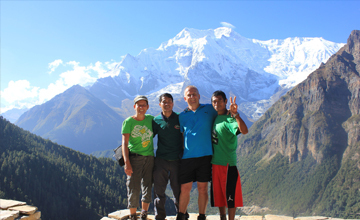 Manslu Tsum valley trekking tour take to you heart the of the Manaslu region & touch the Annapurna circuit trekking route.Trekking in Manaslu Tsum valley trail has been released in 2008 even Manaslu trekking region has been opened in 1992. Manaslu Tsum valley treks offer beautiful Himalayan views with three above 8000m such as Manaslu 8153m, Dhaulagiri 8167m, Annapurna 8091m & other panoramic Himalayan views, beautiful landscape, Monasteries, Mixed culture, lush valleys and Himalayan high pass ( Larkya la pass 5135m). Manaslu tsum valley trekking included as a controlled trekking trail of Nepal & required minimum two person as well as special trekking permit through the government registered Nepal trekking company. 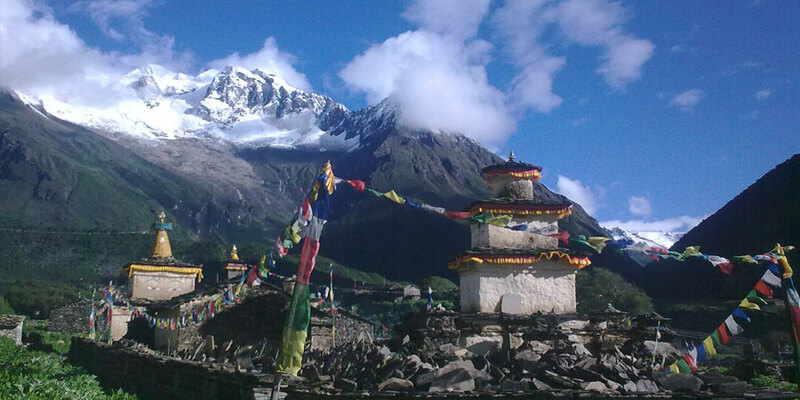 Manaslu Tsum valley trekking is amazing trekking trails for nature lovers and mountain seekers. 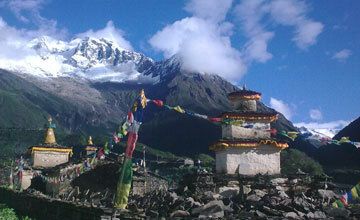 Manaslu tsum valley trek commence from Arughat Bazaar after 5-6 hours drive from Kathmandu . Himalaya Journey Treks & Expedition’s trekking guide led you through beautiful valley of Jagat Philim Chumling Chhokamparo Nile, Mu Gompa & finally reach the Rachen gompa then trail return to the Manalsu Larkya la pass through Namrung samagaun and trek end at Beshishar , Annapurna circuit trekking start point. Minimum four weeks holidays required Manaslu tsum valley trekking but we Himalaya Journey Trekking arrange as per trekkers wish and holiday schedule. Autumn & spring season is best time trekking in Manaslu Tsum valley but HJT arrange around the year as per trekkers holiday schedule with customized trekking service. Manaslu tsum valley trekking required minimum three weeks holidays but we Himalaya Journey Trekking arrange tailor made / personalized trekking service as per trekkers time frame. Day 01: Arrival and transfer to hotel , Manaslu Tusm valley trekking briefing with officially arrangements. Overnight at Kathmandu. Day 02: After breakfast, our tour guide will take to for historical monuments sightseeing in kathmandu valley such as Boudhhanath: visit Bodhnath Stupa, one of the biggest Buddhist shrines in the world, where we observe Buddhist monks in prayer in the monasteries surrounding the stupa than visit Pashupatinath: the most famous Hindu temple in the country, located on the banks of the holy Bagmati River. Here you see Hindu holy men (sadhus) meditating, pilgrims bathing and occasionally funeral pyres burning on the ghats. Kathmandu durbar square: you will enjoy with different Hindus Temple , Goddes Kumari, legend of Kathmandu valley. HJT representative will make Tsum valley trekking permit with your original passport. Overnight at Kathmandu. Day 22: Dharapani trek Besisahar (760m) then Besisahar drive bus to Kathmandu (1317m), transfer to hotel and evening farewell dinner in Restaurant, overnight at kathmandu in Hotel. Manaslu Tsum valley trekking is most popular and challenging trekking trails in Manaslu region offer beautiful Himalayan views of Manaslu & Annapurna region trekking.